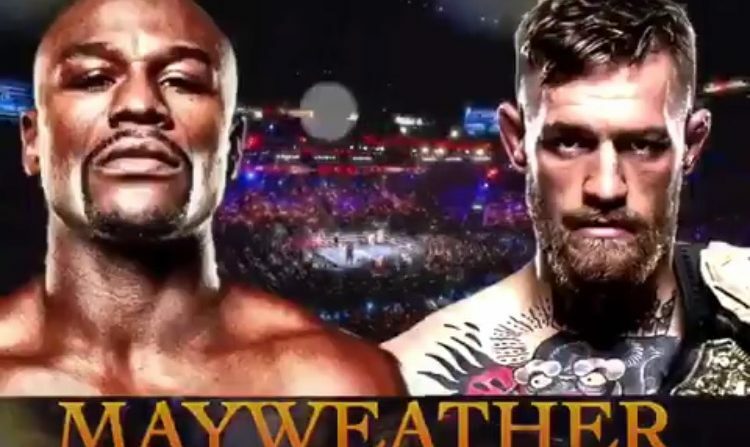 Remember all the talk about Rousey fighting Mayweather.. not we have to deal with this "McGregor open to box Mayweather"
Jumping on with @kevinandbean. Talking Raiders to Vegas, folks still hating on Steph, and why McGregor-Mayweather will never happen. They wanted it to happen, but it's not going to ? BTW Unless McGregor leaves the UFC or Dana White hits his head the Floyd Conor fight will NEVER happen! Floyd Mayweather knows he's not really fighting Conor McGregor. But he also knows saying it's close or not close is news and he loves that. Mayweather vs. McGregor is never going to happen. Been a news-making stunt the whole time and media can’t help but bite every time. Diaz says he's calling their bluff. Doesn't believe Mayweather vs. McGregor will happen.